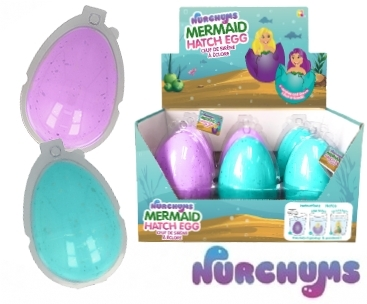 The Nurchums Mermaid Hatching Egg is a new and exciting product from Keycraft. Every pack comes with an assortment of purple and blue hatching eggs. Order 144 x Hatching Eggs and receive our display stand FREE OF CHARGE! 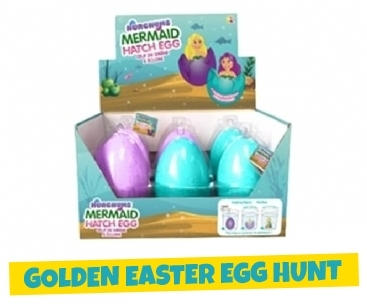 View the Mermaid Hatching Egg Display Solution.